Shallot vs Onion what exactly is the difference and can you replace one for the other? The onion family of plants and herbs is quite extensive and besides the onion itself, the ones you probably recognize immediately are the green onions, scallions, and shallots, among a few others. While green onions and scallions are essentially the same things, other members of the onion family can be quite different. While shallots used to be their own separate species, they are currently classified as a variety of onion given the similarities. Shallots are distinguishable from regular onions most notably by their shape. Shallots, as opposed to onions, are typically slimmer, longer, and overall smaller than regular onions. Onions also have a more dominant flavor than shallots so people who are looking for a less pungent onion flavor might choose shallots over regular onions. Though mostly dominated by that onion flavor, shallots often have a slightly sweeter flavor content than regular onions and people often note hints of garlic as well. Shallots actually grow in a similar fashion as garlic in a cluster of bulbs whereas onions grow individually. Growing methods between the two plants also differ as shallots are typically easier to maintain and care for. While shallots might grow faster than onions, they have a shorter storage life. Shallots are typically more nutrient-, vitamin-, and mineral-rich than regular onions. Shallots also have more carbs and protein than regular onions, making them not an excellent option for those on a low-carb diet. The same goes for individuals watching their calories as shallots typically contain almost double the number of calories as a traditional onion. Onions are specifically known for a number of health benefits including blood sugar and cardiovascular health. Can You Substitute Shallots for Onions? You definitely can substitute shallots for onions and vice versa but you have to pay attention to portions.For example, if your recipe calls for shallots, you can use onions if you use less of them. On the other hand, if your recipe calls for onions, you will have to increase the number of shallots you use. Generally speaking, a single onion will be the equivalent of about three shallots so definitely keep that in mind when substituting one for the other.If you are looking for both a lighter onion flavor as well as a slight sweetness, shallots can be an excellent substitution even if you have onions on hand already. Onions are one of the oldest vegetables of all time and have incredible versatility, being an essential ingredient for a great number of culinary preparations worldwide. Shallots, on the other hand, are especially popular in Asian cuisines and plenty of Thai and Indonesian dishes incorporate shallots as well. 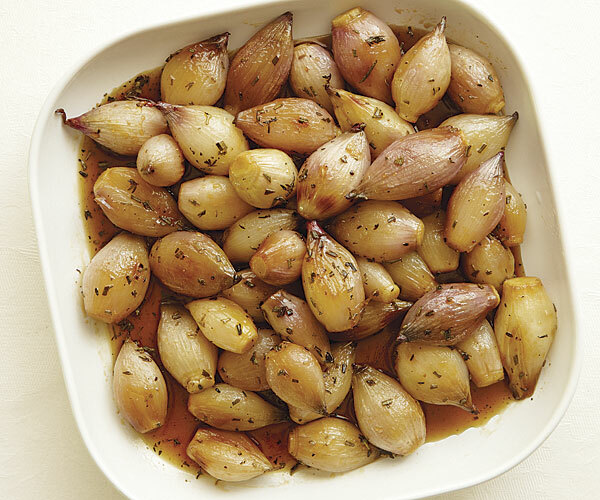 Given their similarities, however, you may find that you prefer shallots in your favorite dishes regardless. There really aren’t any rules as to which one you have to use but depending on the dish, shallots may make a slight difference and you might also need more of them to bring out the flavor. « Scallions vs Green Onions – What’s the Difference?